Qiu Xiaolong, cop and poet in Shanghai. The fifth investigation of Chief Inspector Chen Cao brings us to Shanghai just a few years ago. 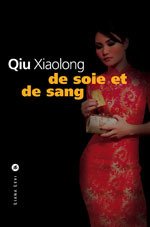 A detective novel, no, a political novel about power, real estate corruption and the trauma of the Cultural Revolution.